Some of my investors have recently expressed concern about owning single-tenant properties. They cite the all-or-nothing risks of occupancy and renewal as the primary objections to these types of investments. These are valid concerns. However, investing in a multitenant property also involves a degree of risk, as well as some responsibilities that do not arise when there is only one tenant to manage. Understanding the nature of these risks – and how to mitigate them – is critical before making an investment. One of the big advantages of investing in a single-tenant property is that once a credit-worthy tenant signs the lease, there is a higher degree of certainty regarding the cash flow that will be generated by the asset during the term of the lease. Predictability can be further enhanced if the lease is absolute “triple net”, where the tenant pays all property operating expenses, insurance costs, and real estate taxes, and performs normal property maintenance. These types of leases, or some variant thereof (where the landlord may be responsible for the roof, parking lot, and/or structural issues but the tenant is responsible for all other items), are common for commercial properties. The more tenants, the higher the potential for uncertainty in the investor’s net rental income. There are several reasons for this. First, when a lease expires, oftentimes there is a gap between the departure of the first tenant, and the time the new tenant commences rent payments. This is particularly true if competitors in the market offer concessions as an inducement for prospective tenants to enter into leases. Additionally, new tenants may require improvements to the space, which may be paid for out of reserves, current cash flow, a loan, or an infusion of new capital. Such improvements can range from minor aesthetic measures such as new paint and carpet cleaning, to major capital upgrades like moving walls or electrical or building system improvements (i.e., lighting, HVAC). Typically, these improvements are made prior to a new tenant taking occupancy and commencing rent payments, which increases “down time” between lease terms. In the case of a renewing tenant, there may be a rent abatement period while work is being performed. Other costs of leasing include brokerage commissions and the expense of negotiating and documenting the new leases. The more leases you have and the shorter their terms, the greater the uncertainty in long-term cash flow projections. Parking lots – Parking lots must be well-lit and well-paved for security reasons, as well as aesthetics. The lot must be swept and kept free of debris. Striping for individual spaces must be repainted periodically, and signage for handicap and other specially designated spots must be maintained. In cold climates, the lot must be plowed and salted promptly as weather dictates. Depending on the nature and location of the lot, security personnel or payment stations may be required. Lobbies – Even the most basic lobby will require lighting, janitorial services, and a current directory of tenants. Other common lobby amenities may include plants, seating areas, and an attendant, security person or controlled entry system. Amenity spaces – The type of common area amenities varies greatly based on the type of asset, as well as the size. Meeting spaces, rooftop decks, fitness areas, and lounges are all examples of amenity spaces, each requiring a different level of upkeep. As noted above, if a property has only one tenant, the success of the investment is dependent on that tenant’s prompt payment and diligent performance under its lease. On the financial side, the investment risk can be mitigated by ascertaining the tenant’s credit before purchasing a leased property or entering into a new lease. It can also be mitigated by securing a lease guaranty from a well-capitalized source such as a parent company. A security deposit may also be requested. Operationally, it is wise to keep close tabs on the maintenance and upkeep of the property, even if it is the tenant’s responsibility to do under the lease. Most owners either visit the property personally on a regular basis or hire a professional property manager to do so on their behalf. In addition to making sure that the investment is well-kept, the owner should develop a good relationship and open lines of communication with the tenant. This is particularly important as the end of the lease term is neared, as it will be necessary to determine the tenant’s plans for re-letting the space, or vacating the lease as far in advance as possible. Advance preparation for lease expiration is critical for a single-tenant property, especially if there is a mortgage on the property, as the loss of rental income can trigger a loan default. Commercial tenants frequently make leasing decisions on their own corporate timeline rather than the landlord’s. Further, tenants often request lease concessions before committing to renew. These can range from minor upgrades to major remodeling, expansion or reduction of the leased premises, and, of course, rent reductions or abatement. When evaluating these requests, the investor should consider the strength of the overall market and economy, as well as the time and cost of finding a new replacement tenant if owner and tenant are unable to reach an agreement with the current lessee. Keep in mind that relocation can be disruptive to the tenant’s business as well as potentially costly, providing an incentive to renew. These considerations are also important for a multitenant property. However, the eggs are not all in one proverbial basket if a tenant defaults or declines to renew. 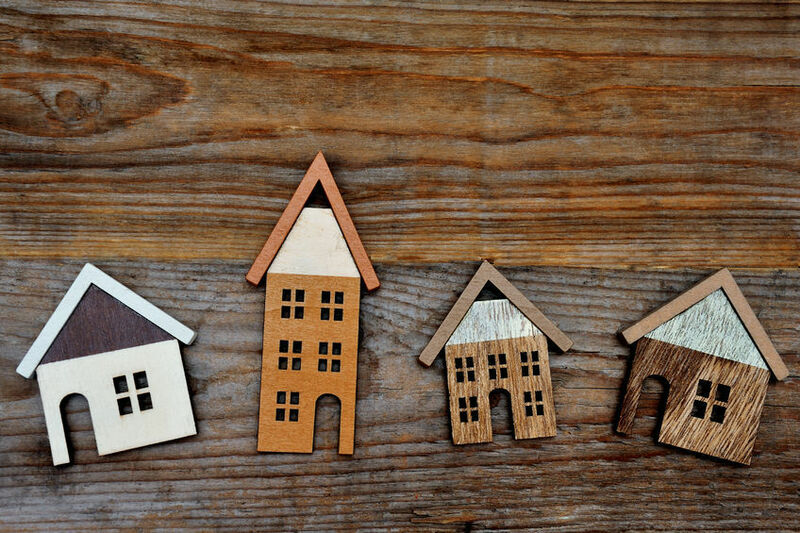 If the property’s rental units differ in size or vary in features, a tenant’s ever-changing needs may be met by relocating them within the property, rather than having to make significant capital improvements to their space or losing them as a tenant entirely. Further, lease expirations may be staggered, thereby minimizing the risk of multiple turnovers or vacancies. As each space in the property comes up for re-letting, the parties have the opportunity to adjust rental rates in accordance with the current market. While this can be beneficial as rates increase, landlords can alleviate this risk in down economies by entering into shorter-term leases with extension options at higher rents, rather than locking into longer lease terms at lower rates. Prudent investors will consider when and how they will be able to exit an investment before buying the property. As noted above, if there is only one tenant, the property will either be fully occupied or completely vacant. The sale price will be higher if there is a quality tenant in place. Single-tenant properties have a few logical points of exit – concurrently with lease expiration, shortly after the tenant’s term is renewed (or a new lease is executed), or at a point when there is a financeable amount of term remaining (typically five, seven or ten years). Selling at another time may be possible, but doing so may be less profitable because the buyer will need to bear the risk of re-tenanting the property and/or the expense of tenant improvements for a new lease. Additionally, if there is a mortgage on the property, there may be significant prepayment penalties if the property is sold prior to loan maturity. Single-tenant properties have a few logical points of exit – concurrently with lease expiration, shortly after the tenant’s term is renewed (or a new lease is executed), or at a point when there is a financeable amount of term remaining (typically five, seven or ten years). Multi-tenant properties are less likely to be vacant at any given point in time. They, therefore, have greater flexibility in the timing of an exit, so long as all or most of the leases do not expire concurrently. The execution of a new lease with one or more significant “anchor” tenants, or positive developments in the general market, such as the opening of a nearby demand driver for the property, may provide good opportunities to sell. As with all types of real estate, the kind of property is that is “best” for the owner is one that is consistent with his personal risk tolerance and investment goals. trusted real estate and financial professionals can help evaluate prospective investment properties and significantly reduce risks.